Conservation Status (International): Critically Endangered A2bcd ver 3.1. The last wild population from the Black Sea basin reproduces in the Danube river. All other Black Sea locations are almost extirpated due to overfishing and impoundment of spawning rivers. Because longevity of this species is high, individuals can still be caught in some areas in spite of spawning sites are not functioning any more. Overfishing at sea and poaching in rivers is the major threat. Impoundment of rivers has destroyed most of the spawning grounds. Conservation Status (national): Georgian Red List (2006): Endangered, national conservation status repeats worldwide status, according to IUCN by 2006. Threats are: overfishing, seizing the largest and mature fish due to poaching and due to bycatch of marine fishing, preventing natural reproduction by dam-building, water abstraction and drought of spawning habitats. Economic importance (national): Currently low, because of very low density. Potentially interesting species for re-stocking in Rioni. Potentially, economically highly important species. Methodological approaches: non-extractive counts at spawning sites. Research activities: Dr. Biol.Sc. Nargiza Ninua, Archil Guchmanidze in Batumi were conducting occasional research during the recent years. Why to monitor: species rare and important for conservation. 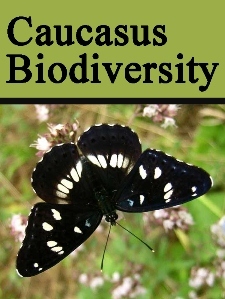 Flagship species for Georgia and Caucasus (WWF Action Plan for Caucasus). However, no self-sustainable population does present in Georgia. Systematic annual monitoring of these species would include much and expensive effort for the analysis of the national population, with a high risk not to reveal a single reproductive individual. Preliminary suggestion: rely on the records of the sturgeons harvest (by-catch and poaching data) and develop non-extractive and non-invasive methods of the monitoring on spawning grounds in rivers. კონსერვაციული სტატუსი (საერთაშორისო)-Critically Endangered A2bcd ver 3.1. შავი ზღვის აუზში ერთადერთი დარჩენილი საქვირითე მდინარეა დუნაი. სავი ზღვის სხვა მდინარეებში თითქმის გადაშენებულია ბრაკონიერობისა და საქვირიტე ადგილებში პირობების გაუარესების შედეგად. რამდენადაც სიცოცხლის ხანგრძლივობა მაღალია, ზოგ ადგილადს დღესაც მოიპოვება ზრდასრული ინდივიდები, რაც არ ნიშნავს მათ წარმატებულ რეპროდუქციას. მთავარი საფრთხეა ბრაკონიერობა და ზღვაში ჭარბი თევზჭერა, ასევე მდინარეების კალაპოტის დაზიანება ადამიანის მიერ. კონსერვაციული სტატუსი (ეროვნული): საქართველოს წითელი ნუსხა (2006): EN, ეროვნული სტატუსი 2006 წლის საერთაშორისო სტატუსს იმეორებს. საფრთხეებია: ზღვაში თევზჭერა, განსაკუთრებით დიდი მექვირიტე ინდივიდების ამოღება პოპულაციიდან, დამბების აშენება (რაც ხელს უშლის მდინარეების გამოყენებას საქვირითედ), წყლის დონის დაცემა ბუნებრივ საქვირითეებში. რამდენადაც ზუთხების სიცოცხლის ხანგრძლივობა მაღალია, ზოგ ადგილადს დღესაც მოიპოვება ზრდასრული ინდივიდები, რაც არ ნიშნავს მათ წარმატებულ რეპროდუქციას. ეკონომიკური მნიშვნელობა (ეროვნული): ამჟამად დაბალი, მცირე რიცხოვნობის გამო. პოტენციალურად ძალიან მნიშვნელოვანი სარეწაო თევზია. პოტენციალურად შესაძლებელია რიონის პოპულაციის აღდგენა. კვლევითი აქტივობა: ნარგიზა ნინუა (საქართველოს ეროვნული მუზეუმი). არჩილ გუჩმანიძე (ბათუმი). სპეციფიკური პროექტი არ მიმდინარეობს, თუმცა წინა წლებში გარკვეული ინფორმაცია არის დაგროვილი. სპეციფიკური ინფორმაცია: მორფოლოგიური და გენეტიკური კვლევა არ ადასტურებს Acipenser persicus- ის ტაქსონომიურ ვალიდურიბას. Ruban, G.I., Kholodova, M.V., Kalmykov, V.A. and Sorokin, P.A. 2008. Morphological and molecular genetic study of the Persian Sturgeon Acipenser persicus Borodin (Acipenseridae) taxonomic status. Journal of Ichthyology 48: 891-903.
მონიტორინგის საჭიროება: სახეობა იშვიათია და მისი კონსერვაცია ძალზე მნიშვნელოვანია. შეტანილია WWF - ის კავკასიის ბიომრავალფეროვნების სამოქმედო გეგმაში. თუმცა, როგორც ჩანს, საქართველოში მდგრადი პოპულაცია აღარ არსებობს. რეკომენდაცია. მონაცემები სახეობის ჭერის და შეხვედრის შესახებ შეჯამდეს და შეინახოს ერთიან მონაცემთა ბაზაში. დამუშავდეს ქვირითის მონიტორინგის არაინვაზიური მეთოდები.